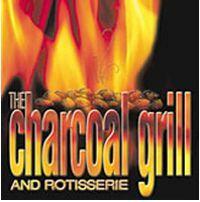 Racine ELCA Faithworks is teaming up with The Charcoal Grill and Rotisserie for a day of Dine and Donate on February 12, 2013. What better way to celebrate Fat Tuesday than eating out at this fantastic restaurant? The Charcoal Grill will donate 10% of all food and drink from you bill( minus tax and gratuity) to Racine ELCA Faithworks when presented with the Dine and Donate voucher. This voucher is valid at both locations in Racine ( on hwy 20 and on Douglas Ave) and can be used the entire day from open to close. It is the easiest fundraiser to participate in…all you have to do is enjoy a good meal. Tell your friends and Family and come support Racine ELCA Faithworks!